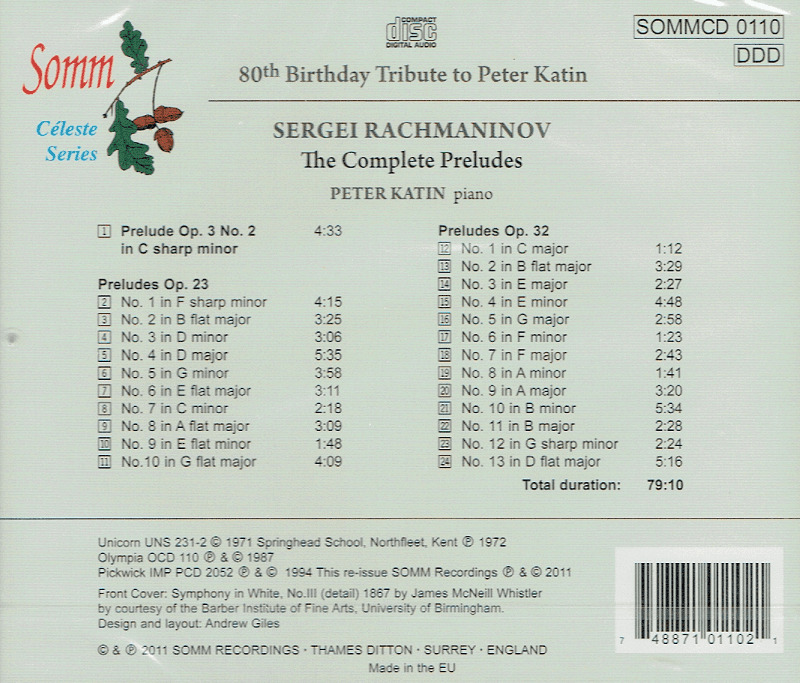 "This beautifully remastered CD by revered pianist Peter Katin appeared in the SOMM catalog as a tribute to Peter Katin's 80th birthday. It was first recorded on two LPs on the Unicorn label in 1972, when the artist was at the height of his powers. 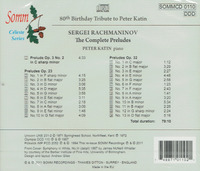 It then reappeared on two CDs on the Olympia label in 1987, and made another brief reappearance in 1994 on the Pickwick label. His playing is magisterial: one couldn't ask for more insight, intensity, virtuosity in this prodigious repertoire. 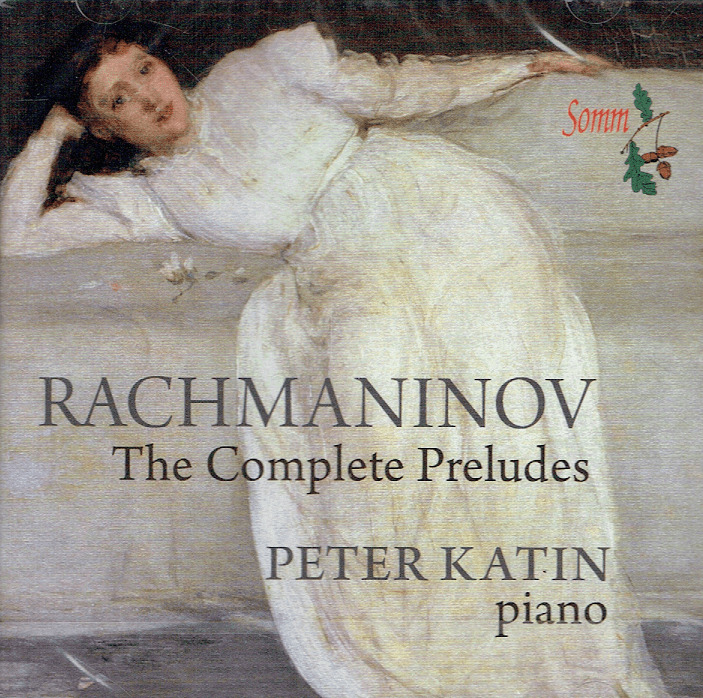 …the music redefines totally convincingly what a ‘Prélude’ might be - an auspicious fragment of the Beyond. Katin fixes them superbly in the here and now."